The dust jacket is missing, the boards are worn with bumping to the spine ends and corners. The pages are secure to the binding, the edges have tanning and foxing. This book is from our pre ISBN stock and could therefore be over 50 years old. It will have a general appearance commensurate with its age including age effects to page edges, binding and boards. Dust jacket is absent unless otherwise stated Usual signs of a well read book but good overall condition. May not look good on your book. Good. Paperback in good condition. Date 1990.
and the evil Quint, the former valet to the children's absentee father. which they are being afflicted. bringing her own brand of evil into the lives of two innocent children? Who, indeed, is the possessor? 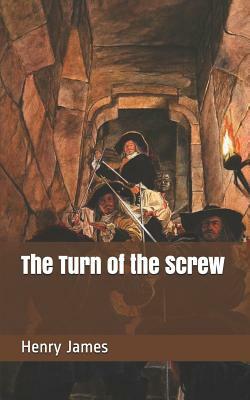 The Screw" remains one of the gems of either genre.